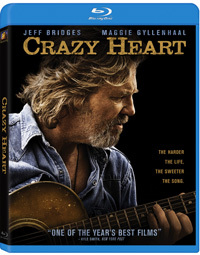 Whether you’re into country music or prefer rock, the bluesy soundtrack of Crazy Heart is good for the soul. And listening to the Blu-ray version through decent speakers and a subwoofer gives the impression that you’re right in the audience of the Bad Blake/Tommy Sweet concert. The bass bumped our seats, and it wasn’t from our toes tapping. 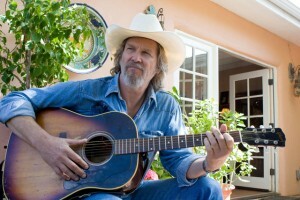 Featuring the Oscar-winnng performance of Jeff Bridges (The Big Lebowski), Crazy Heart tells the story of Bad Blake, an aging country music singer/songwriter (Bridges) whose life has fallen to alcohol. But he begins to want a second chance when a young woman (Maggie Gyllenhaal, Nanny McPhee Returns) and her 4-year-old son enter his life. Colin Farrell (Tigerland) does a convincing job as Tommy Sweet, a young country music singer whom Blake mentored to super-stardom, and Robert Duvall (Get Low) has a low-key role as Blake’s old friend and confidant. 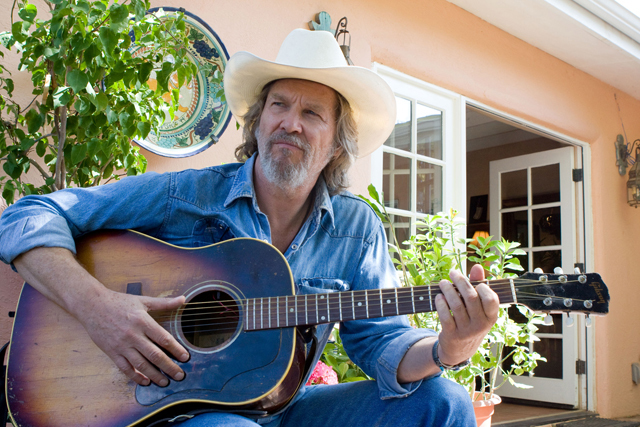 The picture looks great on Blu-ray, showing off the wonderful country views of New Mexico and every crinkle in Bridges’ expressive face. The Blu-ray doesn’t offer much in the way of special features. There are a bunch of deleted scenes, including an interesting one with Blake visiting his 28-year-old son, who he hasn’t seen since the boy was 4, and Blake relapsing after his time in rehabilitation. These are not high-definition, and they show how great the Blu-ray picture is. The other extra is a quick promotional piece with Bridges, Gylenhaal and Duvall explaining how each of them got involved with the movie. The Blu-ray also includes a separate disc with a downloadable digital copy of the movie.